My Op-Ed piece on the Mars Polar Lander ran in the Pasadena Star-News on 2000/01/20. Dearly beloved, we gather to celebrate an arrival, not mourn a departure. Let us give thanks for the future and bury the past. Conversation dies and silence gathers as the minutes tick-tick-tick toward 12:39 in the afternoon of a Southern California day at the Jet Propulsion Laboratory. I’m jammed cheek-by-jowl with fifty other people in a narrow hallway running half around a glass-enclosed operations room. Another thirty people wedge into that small room. Dan Goldin, NASA Administrator, is there — a gray eminence watching quietly and lethally. There’s Richard Cook, Project Manager, and bird-like Ed Stone, JPL Director. There’s John McNamee, Project Developer, looking intensely haunted and somber. Where are we? Where are we going? You have to roll dice in the space biz, there’s no getting around it. Everyone in that room and hallway has something on the line. For the mission engineers and scientists it’s a few years of their lives and careers. For others like myself—one of the navigators trying to figure out where we are going—only a few weeks of commitment are at stake. Only a few weeks? Wrong! It has been an agony of weekends, long nights and Thanksgiving holidays sacrificed to the demanding God of Exploration. The God of Exploration! 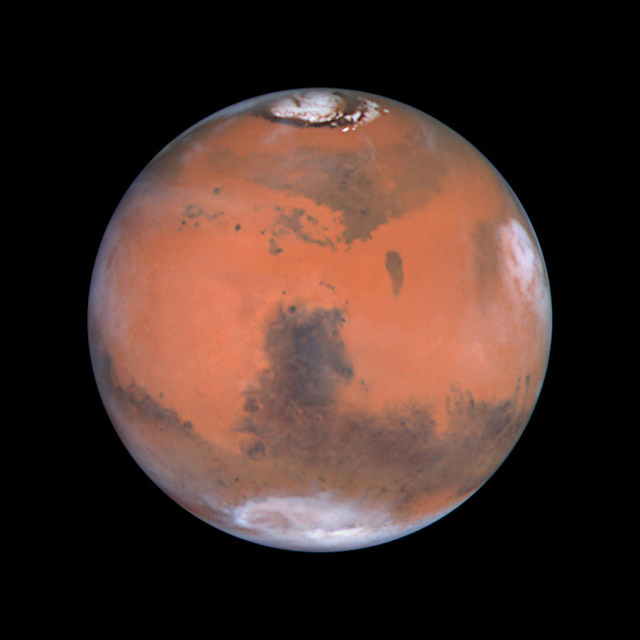 He has been benevolent to Viking and Voyager and Galileo and Pathfinder—and He has been cruel to Mars Observer and Mars Climate Observer. You have to sacrifice time, money, talent and ingenuity; he doesn’t provide safe passage to Mars for peanuts, you have to bleed and sacrifice a virgin or two. Where are we and where are we going? All conversation ceases! All eyes lock onto the display of the spectrum analyzer. A green fuzzy-flat line lies horizontally across the range of radio frequencies expected from our departed kin. Yet now the possibility of failure congeals. Until NOW it was abstract and empty—was simply the dark underside of a probability cloud drifting far away. Now! A nugget of information has propagated over fourteen minutes of light-travel-time from Mars to Earth, to the Deep Space Network, to this control room, to this display, to these eyes. Now. The probability cloud roils overhead, leaden black underbelly churning malevolently. A lightning stroke, abrupt and powerful, strikes nearby. Reality arrives. The flat line remains flat-line. The nugget of information is the null bit, the absence of a needle-sharp peak, the lack of signal where signal is wanted. Silence. A downpour of cold wet reality begins, soaking the mind, depressing the soul. Dan Goldin’s face darkens; Ed Stone stares at the spectrum display. John McNamee gazes into space. And growth, and lessons learned, and a chance to do it better, because we WILL do it better, again and again, because we melt in the crucible of failure and mold to something better, but more fundamentally because we, as human beings, worship the God of Exploration and will sacrifice for the future. Dearly beloved, give thanks for the future and bury the past. Where are we and where are we going? To Mars and beyond. This entry was posted in Ancient Archives and tagged Deep Space Network, JPL, Mars, Mars Climate Observer, Mars Polar Lander, navigation on 2000-01-20 by Black Sky Voyages.